We are a creative art studio offering several different mediums of art. 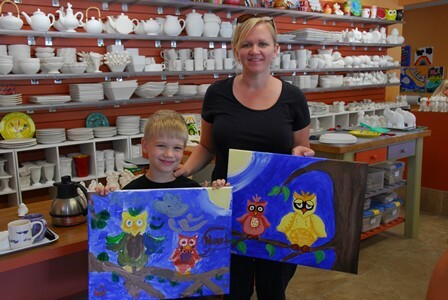 During our open studio hours you can come in and paint pottery, fuse glass, paint on a canvas or on glass and more! No reservation needed. Just let us know it’s your first time in and we will gladly show you the ropes and get you all set up! We also offer classes in all of our mediums. We have something different planned everyday, so be sure to see our calendar for more information!